A fatal error occurred while performing the refactoring. An unexpected exception occurred while creating a change object. See the error log for more details. We’ve been doing a lot of website scraping for a university project latel so I decided a little app to scrape the universitys‘ cantine website for the lunch menu. A network connection in the main Activity is not allowed so I’m using a private class for that. Once the doInBackground method is over onPostExecute is automatically called. Luckily the jSoup library which is used for parsing also brings a way download a website for parsing. There is only one category class and it contains the date. The dish-description class contains what you will later see in the app. The size is needed for a for-loop later on. These dishes are then saved together with every second price (the one for students, the other one’s for employees) in a HashMap, which is then added to a list. For recognizing later, the dishes get the key „dish“ and the prices the key „price“. Since i’s called Minimal Mensa Plan, no other features (such as caching or selecting a cantine) are available. The app in the Play Store is used for scraping the cantine at the campus Berliner Tor but it might as well be used for others, just by changing the URL. It’s released under the MIT License and available at GitHub. 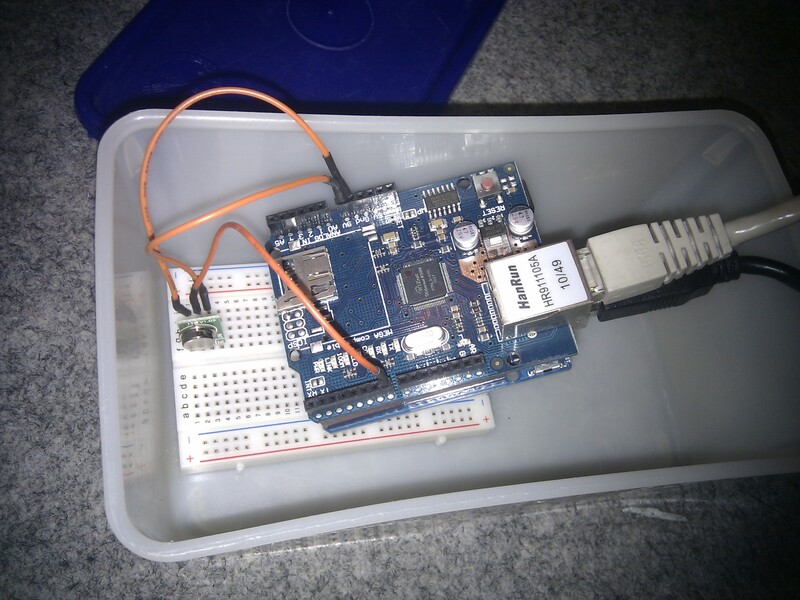 A s of September 2014 the smallest (15KB! 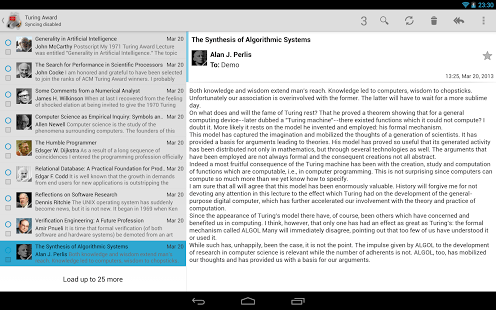 ), most minimalistic app for simply taking notes is called Zen Notes from Peter Gyorffy. 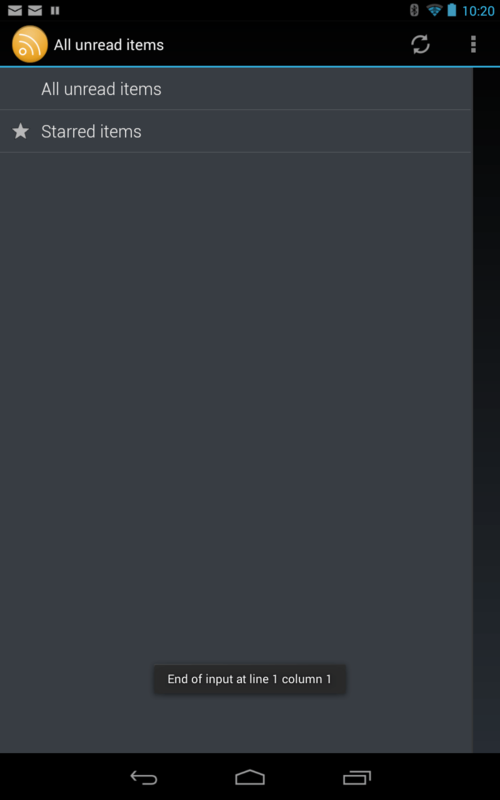 It doesn’t have any features like reminders, changing the theme or font or any other useless stuff. It’s basically like a sheet of paper where you can write your thoughts on, just digitally. The only thing it can do is share the written text over whatever Android offers you, e.g. email. When you exit the app the notes are saved automatically. Nicht erst seit Entwickler Dong Nguyen sein populäres Spiel Flappy Bird vom Markt genommen hat, tauchen vor allem in Androids Google Play Store zahlreiche Klone mit allerlei Getier auf. Ich habe ein paar ausprobiert und fand Flappy Cow am besten. Die Kuh könnte man schon von Space Cowboy kennen; jetzt als Superman verkleidet umfliegt sie Spinnen und Rohre. Es gibt einen Highscore, Medallien(ich hab schon Bronze geschafft 🙂 ) und häufig Updates. Ein perfektes Spiel für die Langeweile zwischendurch. Seit Version 1.7 gibt es auch einen Pause Button, falls man mal unterbrochen wird. edit: Aufgrund von einer seltsamen Google Policy (und Apple auch für iOS) darf in den Namen der Apps nicht mehr das Wort Flappyvorkommen. Die App heisst im Play Store jetzt Flutter Cow. Disclaimer: Ich kenne den Entwickler. 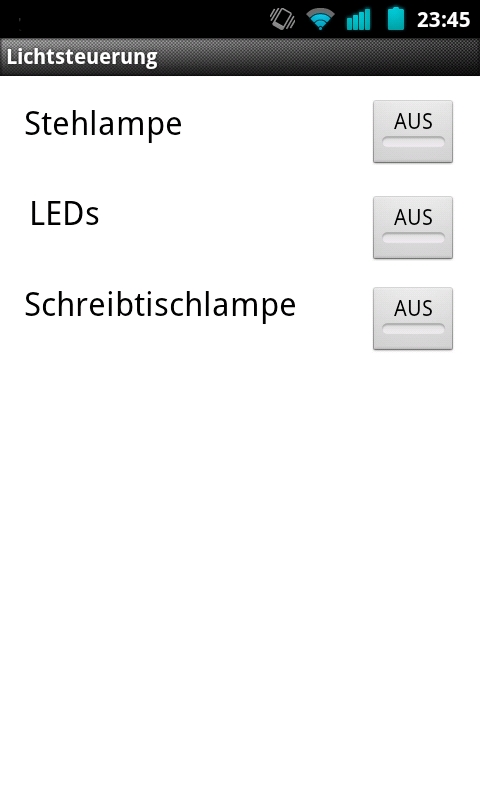 Nachdem OI Flashlight bei mir nicht funktioniert habe ich gestern Nacht kurzerhand entschloßen mal AIDE auszuprobieren und mir meine eigene Taschenlampen App zu schreiben. Stellt sich raus, dass das garnicht so schwer ist. Der Developer Account bei Google kostet $25 und ist super einfach zu bedienen. Details folgen noch. update: Ich habe eine Version für Smartphones mit Android < 4.0 hochgeladen. Je nach Androidversion wird automatisch die richtige App ausgewählt. TextSecure encrypts your text messages(SMS) locally. 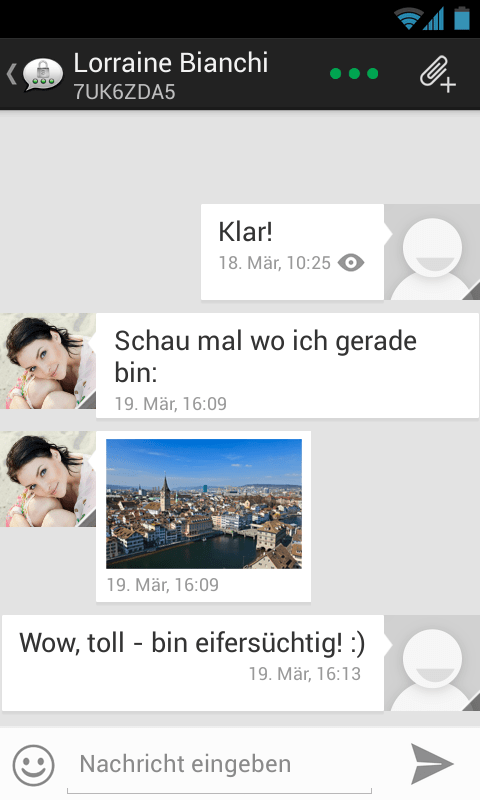 Also, if your partner also has TextSecure, you can encrypt the messages, so not even the carrier could intercept them. update: No SMS encryption functionality anymore, but this app is now called Signal and can still encrypt the SMS and message database on the phone. For SMS encryption use Silence (GP). RedPhone is basically an open source Skype replacement with even better encryption. It’s dead simple to use. If a contact in your phonebook also uses RedPhone, you will be asked if you want to upgrade to a secure call. update: Now merged with TextSecure in the Signal Messenger App. Whether it’s your bank, your WordPress blog, github, Dropbox or facebook. 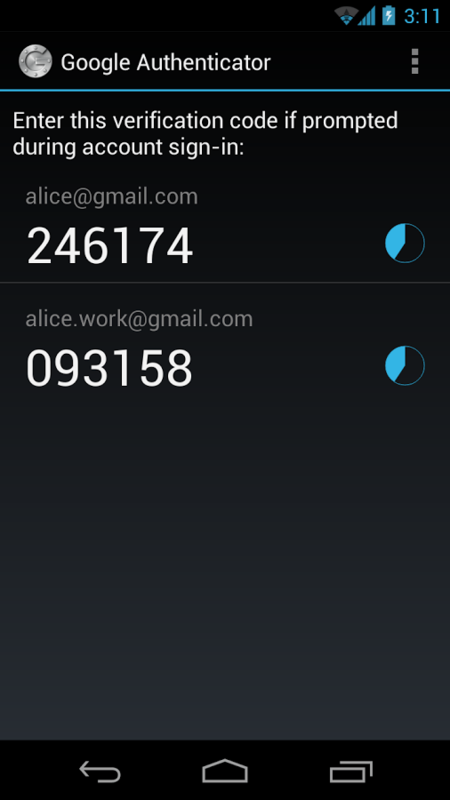 Two factor authentication with One Time Passwords(OTPs) is getting popular! With this app, you will not only need your password to login, but a code from your smartphone that’s generated and valid for 30 seconds. Just in case your phone gets stolen or lost, make sure to print out extra backup code. Don’t want them laying around your house? Use the next app! EDSLite works much like Truecrypt/Veracrypt for your computer. You can create containers, where you can store your Pins, Tans, Backup OTP Backup Codes and more. Because TrueCrypt can read those containers you can just save them to your Dropbox and keep them in sync with your computer. If you don’t trust Dropbox, maybe the next app is for you. update: Use Veracrypt instead of Truecrypt, since Truecrypt is not actively developed anymore. EDS can use both. 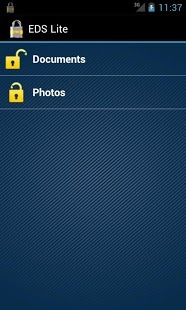 ownCloud is an app that works with your owncloud installation. You can download your private cloud and host it from home on a Rapberry Pi or chose a hosted solution in a data center that you trust. So, from where should you download all these apps? Trust Google or Amazon that the binaries you’re getting are what the developers uploaded? f-droid.org is another alternative app store that you might consider to trust. The apps are all open source and you can probably even get a couple of apps for free that would cost a few cents in the Google Play Store. Threema is probably the best app available for secure encrypted messaging; it works very much like Whatsapp. The servers are in Switzerland. The only downturn is: it’s not open source. But: you can verify that the encryption works correctly. If you just add a contact with his/her Threema ID, the contact appears read. If you sync your phonebook with Threema(your phone number is only transmitted as a hash) and Threema recognizes a contact, it’s getting orange. And if you meet your contact in person and scan his QR-code, the contact finally turns green. This is the most paranoid messaging app I’ve seen. If you want to send only encrypted emails, this is for you. Together with the APG app, it’s super easy to send encrypted and receive/decrypt emails. With Android 4.x on you can encrypt your whole device. Make sure you chose and remember a good password or PIN. Evernote is great for keeping your notes in sync. But if you want to keep them secret, you might want to consider using this app. Every entry is encrypted via sqlcipher with AES 256. Heml.is looks promising but has been under development for quite some time now. Hope to hear more soon. Telegram is another open source messaging app. The encryption only works, when both participants are online, so be careful. I updated the owncloud instance and app framework/news app but it still showed me that everything was uptodate, even when 5.0.12 was released. Via phpMyAdmin I could see that the feeds were still in the database but I couldn’t see them in the web app or Android app. So I just deleted the owncloud folder, downloaded the new .tar.bz2 from owncloud.org, removed the oc_news tables(do not delete e.g. the contacts or bookmarks!). Then I changed my username in oc_users, used my old username as my new username and reinstalled owncloud, this time version 5.0.12. I could then delete the old (changed) username via the admin panel. Ich habe einen Nook gemäß den Anleitungen von nookdevs.org gerootet. Danach ist busybox, eine Sammlung von Unix-Tools, verfügbar(update: falls nicht: nachinstallieren). Eines dieser Tools ist der Scheduler cron, mit dem sich regelmässig Tasks ausführen lassen. Ich setzt hier vorraus, dass das Android SDK/ADT installiert ist und ihr root-Zugriff über USB habt. Unter /system/bin habe ich ein paar Skripte hinterlegt mit denen er Crons starten und beenden kann. Die Zeit ist wichtig, damit er das auch zu eurer Zeit ausführt, nicht UTC oder wie auch immer. Die verschiedenen Crondienste stehen in der Datei /data/cron/root. Damit ich nicht immer diesen langen Befehl aufrufen muss gibt es dafür ebenfalls ein Shortcut dafür.